There’s a new kind of BMW halo ring style out there, known as the DTM LED halo rings with a horseshoe flat-bottomed shape. 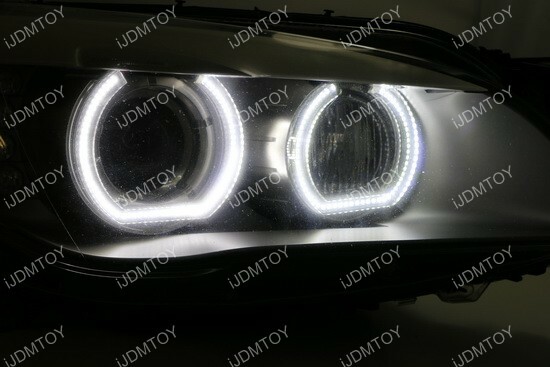 These U-Ring shape LED angel eyes are a much more futuristic, premium look as opposed to the standard round shape LED halo rings. You would generally see this type of halo rings on the newest cars out there on the streets so it’s still pretty rare among the fleet of BMWs.